Today I’m posting up my weekly movie review, which is a new segment to my blog, featuring fabulous films from the golden age of glamour! As always I promise to have no spoilers for the film I’m reviewing in this blog. 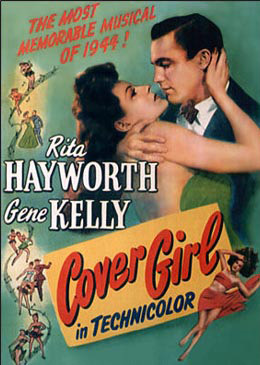 This weeks pick is the 1944 romantic comedy musical Cover Girl, starring the ever beautiful Rita Hayworth, the handsome Gene Kelly, and the hilarious Phil Silvers. 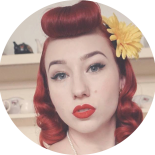 This film features a story that I’m sure all pinup will adore, a journey fame through the cover of a magazine, and of course a beautiful old fashioned love story. In this film Rita plays Rusty a very beautiful and talented performer who works as a chorus girl at a nightclub that’s run by her boyfriend Danny, played by Gene Kelly. The opportunity arises to audition to be on the cover of a magazine, she does very poorly in the audition but the casting agents see her performing in her show and decide she would be the perfect candidate. Her fame only blossoms from here, but her relationship is put on line at the cost of success. Rusty has some big decisions to make! I adored this film for all its glamour and the skills that these actors possess, musical theatre is one of my favourite genres because not only do you have to act, but also sing and dance! I can imagine being from the 40’s and watching this film, and being inspired to be a famous actress like Rita Hayworth and hoping for a lucky break like hers, I love to dance, and perform, but I don’t like to act as much but this makes me want to a Hollywood star during this era! 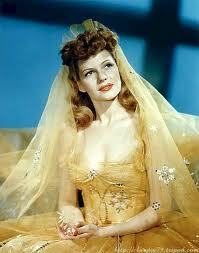 I couldn’t endorse this film more, its got everything; a love story, vintage glamour and comedy! Be sure to stay tuned as later today I have a big announcement! 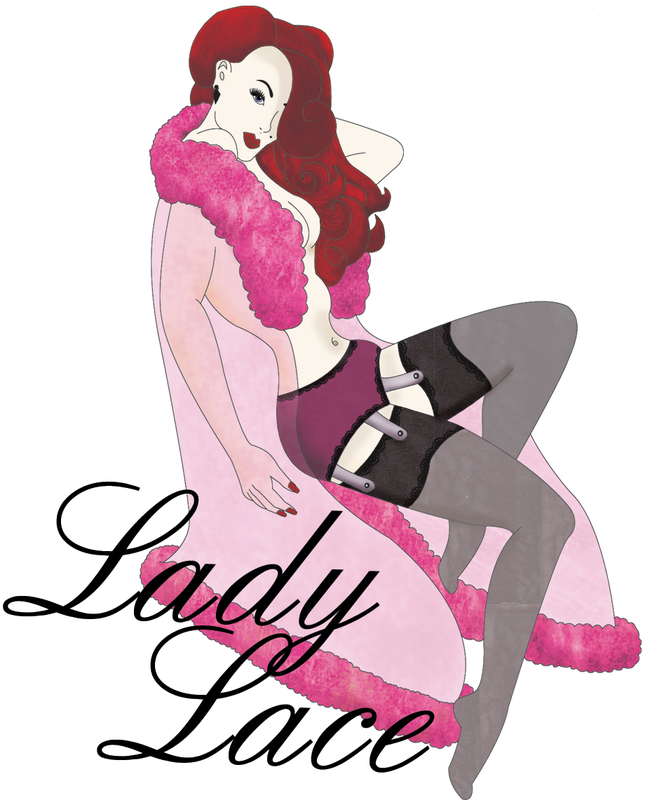 This entry was posted on June 18, 2013 by Miss Lady Lace in Film Review and tagged 1940's, 1940's film, 1940's musical, 1944, 1944 film, comedy, cover girl, cover girl 1944, cover girl film, film review, gene kelly, glamour, glamourous, golden age of glamour, Lady Lace, lady lace blog, miss lady lace, movie review, musical, musical comedy, musical theatre, phil silvers, pinup blog, retro film, retro movie, rita hayworth, vintage film, vintage movie.